If you had told me that there was a cassette with a song on it that contained the title of this cassette and that the song also went on to talk about wearing someone's skin I'd think of it not only in terms of the actual person Ed Gein but the band named after him and their style of slashercore music that is pretty much the opposite of what Penelope Gazin is doing. These songs are home recordings with that bedroom feel to them. They channel Cheap Trick and the more obvious choice of Kimbra Dawson, yet they also can sound like Buddy Holly or even possibly twee. I also can hear a bit of Danielle Ate the Sandwich in certain songs (which is ALWAYS a good thing) and as I checked the Bandcamp afterwards those weren't just sort of ukulele sounds it was an actual ukulele. 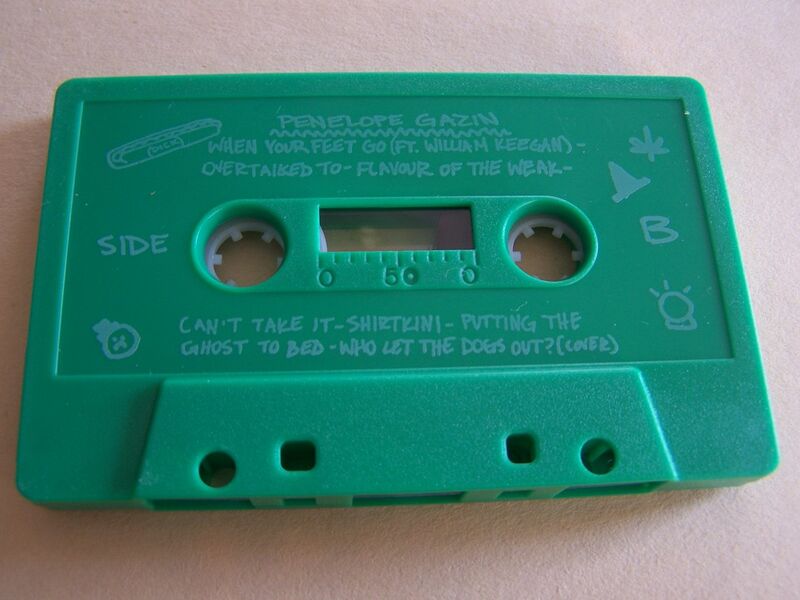 Lyrics are definitely important on a cassette such as this and they are there in that tongue in cheek way but are clever enough to hold my interest still. I actually read after listening to this that these songs could be as old as from when Penelope Gazin was a mere eighteen years old. To think of this music and lyrics as being in such a young state surprises me because of how mature they seem in other ways. Admittedly, it is easy to grow weary of the singer/songwriter sound that comes with cassettes. People get a guitar, press record and think that the more cassettes they release the closer they come to being the next Daniel Johnston. 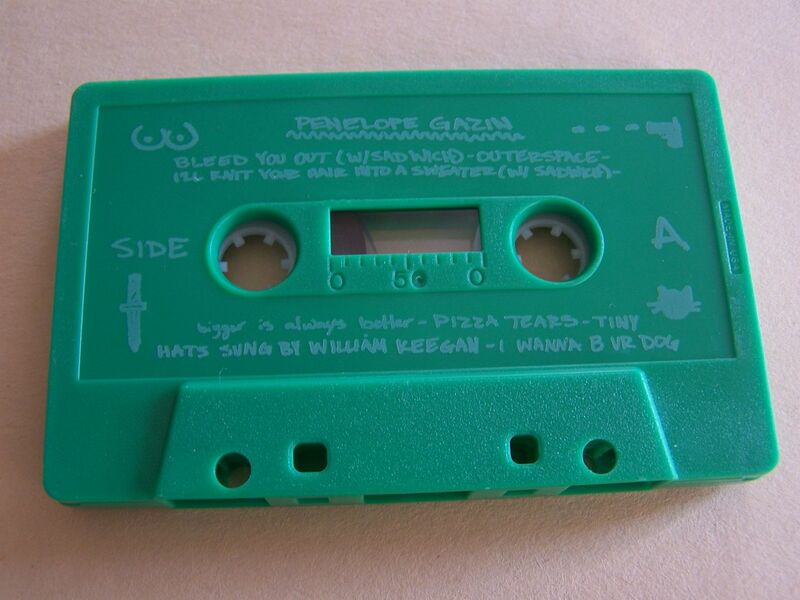 Penelope Gazin is different though. If this was the only cassette she ever released it'd be just as wonderful but I really do hope to hear more music from her for a very long time to come.